In 1997, Tom, along with his wife Nelcy, seized the opportunity to open their own business forms company, I.C. Ink in Stockton, California. In the last fifteen years, the company has become a leading supplier of promotional products, embroidery, screen printing and signage. 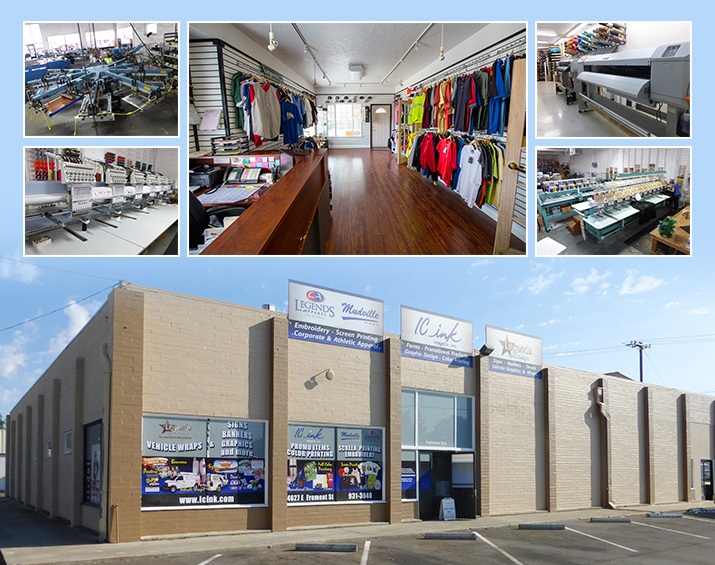 To better control his distributorship's screen-printing and embroidery needs, Sousa purchased Legends Apparel in 2000. Today sister companies I.C. Ink and Legends Apparel operate under the same roof. Legends Apparel owns five state-of-the-art embroidery machines capable of embroidering shirts or jacket backs with up to 120,000 stitches. Legends utilizes one twelve-color automatic presses, two eight-color automatic presses and one 6-color manual press to provide screen-printing and embroidery services to distributors and users. In 2001, Legends Apparel worked with a distributor to provide Pixar Animation Studios, in Emeryville, California, with approximately 4,000 4-color screen-printed t-shirts for the premiere of Monsters, Inc. For a time, the film went on to take the place of Toy Story 2 as the second highest-grossing animated film of all time, behind only The Lion King. Pixar produced the film in partnership with The Walt Disney Studios. With over 40 employees and over 35,000 square feet of office and production space, the company is one of the largest of its kind in Northern California. Another crucial part of the company is I.C. Ink's Print Shop division, which provides quality offset printing to their many customers and wholesale printing to other printing distributors. In 2011, to further expand our capabilities and services, we acquired Mudville Rags, the oldest screen-print and embroidery company in Stockton. With their added machinery and expertise, we are second to none. The sign shop, originally started in 2007 as Legends Signs, was expanded in 2014 after acquiring an established local sign company known as Harbor Signs. We provide our growing customer base with electrical commercial signs including channel lettering and halo-lit signs plus full-color banners to vehicle wraps and graphics, making the family of companies a one-stop shop for all your printing needs. broidery company in Stockton. With their added machinery and expertise, we are second to none.